New Year's Eve is definitely the biggest party of the year. 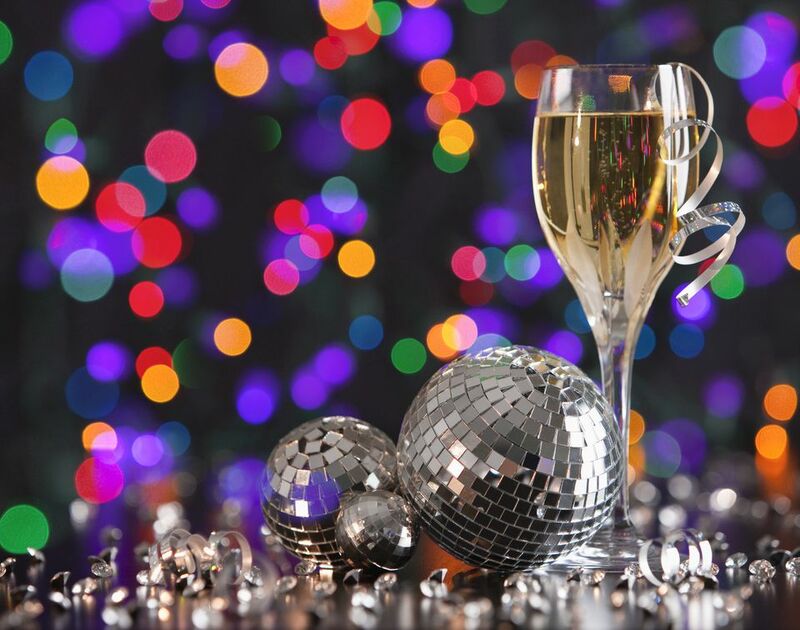 While it is great to pop the cork on a bottle of Champagne as the ball drops, there's plenty of time before that to enjoy an exquisite cocktail or two. To help you find the right drinks to ring in the new year, we've collected recipes that are filled high-class style. You will find Champagne, of course, though there are also a few fancy drinks that lack the bubbles, but not the sparkle. A perfectly simple cocktail recipe, few drinks are as perfect for your New Year's Eve party as the "Happy New Year." 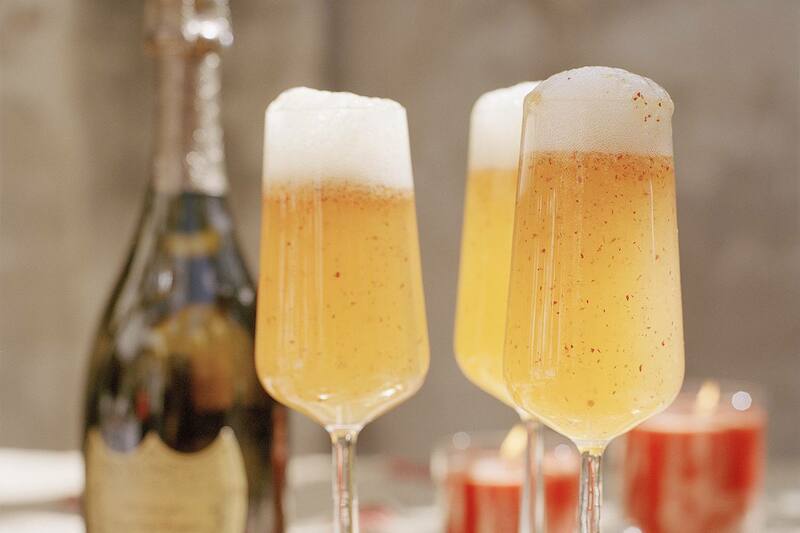 It really is the name of this cocktail and it's a fabulous way to dress up your favorite Champagne. The drink has layers of flavor but it's very easy to make. The sparkling mix begins with brandy, ruby port, and orange juice, which are shaken and strained into a flute before they're topped with the bubbly. It's a vibrant drink with great appeal. We may be well into the 21st century but that does not mean we can't partake in a twentieth century cocktail. This is an impressive classic from the early 1900s and its taste is as fabulous today as it probably was back then. You can think of this recipe as an enhanced gin martini with just a hint of chocolate and citrus. Choose your favorite gin, then use Lillet Blanc instead of vermouth. Add a little crème de cacao and lemon juice and a lovely little drink is yours to enjoy. When the ball drops in Times Square on New Year's Eve, this melon ball drop cocktail is one you will want in your hand. It's sweet, sassy, and fruity, and a quick one to mix up. You will need just four simple ingredients to create this fun vodka martini. Pick up a citrus vodka, that alluring green bottle of Midori, and a few lemons. The elderflower is the surprise and rounds off the soft flavor perfectly while the melon ball garnish makes it perfect for the occasion. The midnight martini is a perfect fit for New Year's Eve. It not only gives you a nice cocktail to sip, it will also help you stay awake until midnight. This is a very simple recipe that can include either two or three ingredients. While you could use any ordinary vodka, we prefer a coffee infusion like Van Gogh's Espresso. Mix that with your favorite coffee liqueur and a little cinnamon syrup, if you like, and there's no way you'll crash during the party. It may not be a leap year every year, but any day is a good one to enjoy this classic cocktail. This sweetened gin martini definitely deserves more of the spotlight than it often receives. The leap year adds a citrus twist to the combination of gin and sweet vermouth. To make it, you'll add both Grand Marnier and lemon juice, stir it up, then add an elegant lemon twist. It's a timeless taste that is, quite simply, a delight to drink. Soft, delightful, and sparkling, the figgy sparkler is a very pleasant cocktail. It's a Champagne cocktail with a seasonal twist, showing off a delightful blend of fresh fruits. For this recipe, you will muddle cranberries, orange slices, and a fig. Pick up your favorite vodka or opt to infuse it with figs for even more flavor. Top it off with some bubbly and it's ready for the big party. This stunning cocktail is another favorite and one that's been around for well over a century. If you don't want to choose between Champagne and beer on New Year's Eve, the black velvet is the fix you need. Beyond simple, this cocktail is nothing more than equal pours of Champagne and stout. The dark, heavy beer works perfectly against the light, effervescent wine, creating a perfect balance and the best of both worlds. You may know and love the holiday classic known as the poinsettia. It's a fun mix of cranberry and Champagne and great for any special occasion. The pomegranate poinsettia gives this favorite a few fun twists. This recipe retains the original's sparkling wine and orange liqueur. It then switches out the cranberry juice for orange. The star ingredient, however, is a short shot of pomegranate liqueur. The result is a sweet, fruity cocktail that will surely add to a memorable night. Sangria is always a great option for a party and there are many ways to mix up this alluring wine punch. We're thinking that New Year's calls for something a little brighter, which is where this interesting recipe comes in. Rather than red wine and brandy or rum, the silver sangria opts for a dry white wine and a great gin. It also uses a grape base, in both juice and whole fruits. Toss in a few apples and some ginger ale and get ready for a new start as another year rolls in. It may just be a date on the calendar, but there is something rejuvenating about starting a new year. Whether you're planning any big changes through your resolutions or not, we could all use a little good luck charm. A fun and unique bourbon cocktail, you'll enjoy the sweet and tart taste of this recipe. It offsets the dark whiskey background with the bright flavor of lemon via limoncello and a homemade lemon sour. Add the refreshing taste of spearmint and spread cheer into the new year.